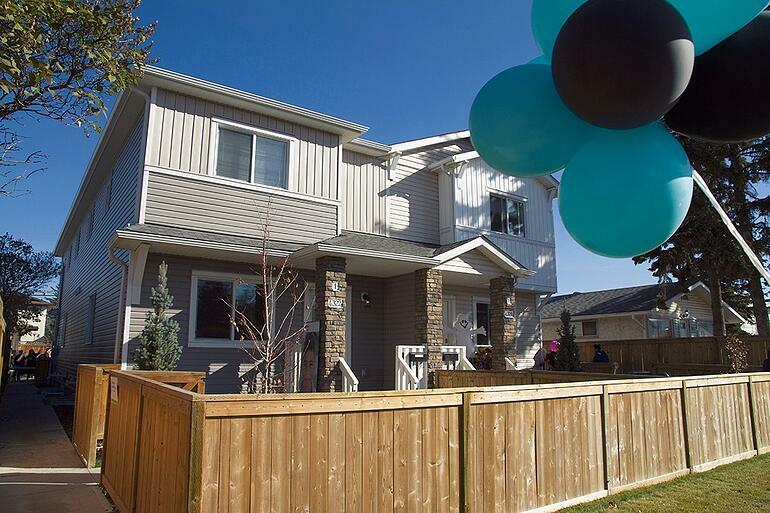 These four homes in Bowness are one of four Habitat developments in the community. We completed a six-plex last year, and are working on two five-plexes, scheduled for completion by early 2019. The four-plex has been aided by financial contributions from numerous sponsors, donors and community partners. Minister of Finance Joe Ceci was in attendance to bring greetings on behalf of The Government of Alberta who has been a significant supporter of these homes in Bowness. "It's great to look out into this crowd and to know there's folks who are going to be entering these doors and living here—there are people who have helped put these doors on, and there are people who have helped contribute money to make this build happen. It's an exciting day for the families and for everyone who worked so hard on this project." Each of the homeowners has contributed 500 volunteer hours as part of their partnership and will purchase their homes at fair market value through Habitat’s affordable mortgage, which means no down payment and no interest. Annette, mother to Patrick  and Riley , is one of homeowners in Bowness. 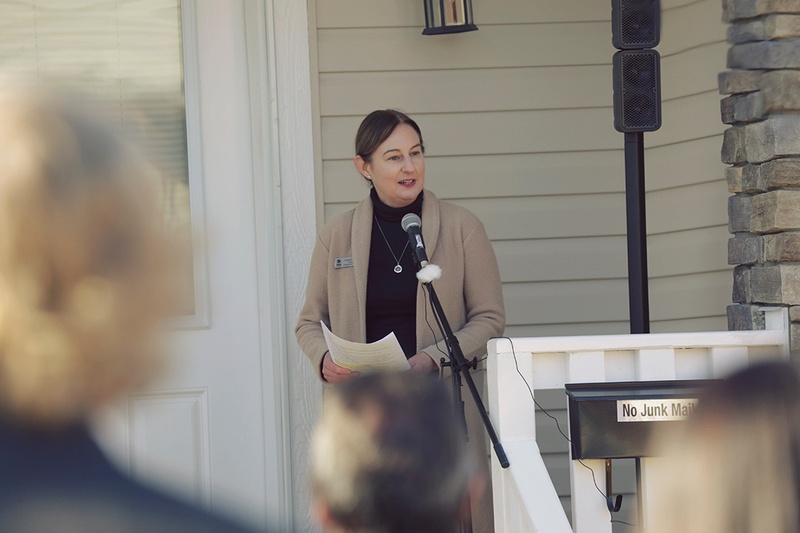 She spoke at the home dedication about how home ownership has brought stability, security, and peace of mind to her and her family's lives. 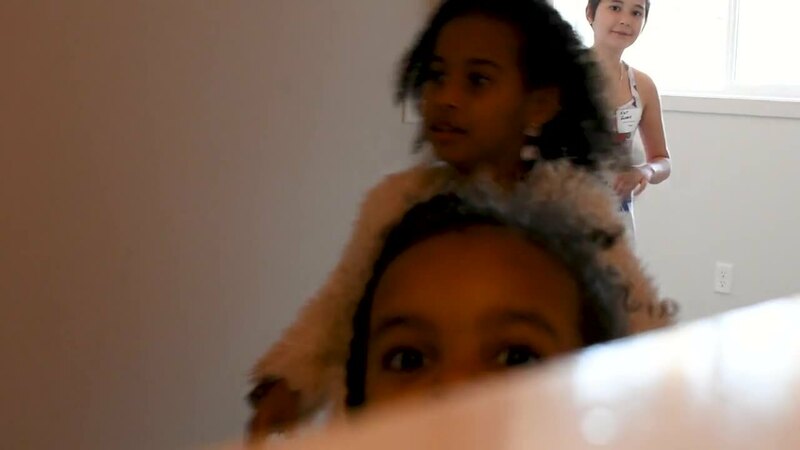 Habitat's affordable mortgage means that payments will be geared toward each family’s income and will never exceed 25 percent of their total household income. This gives parents like Annette financial flexibility and the ability to build long-term stability for their children. 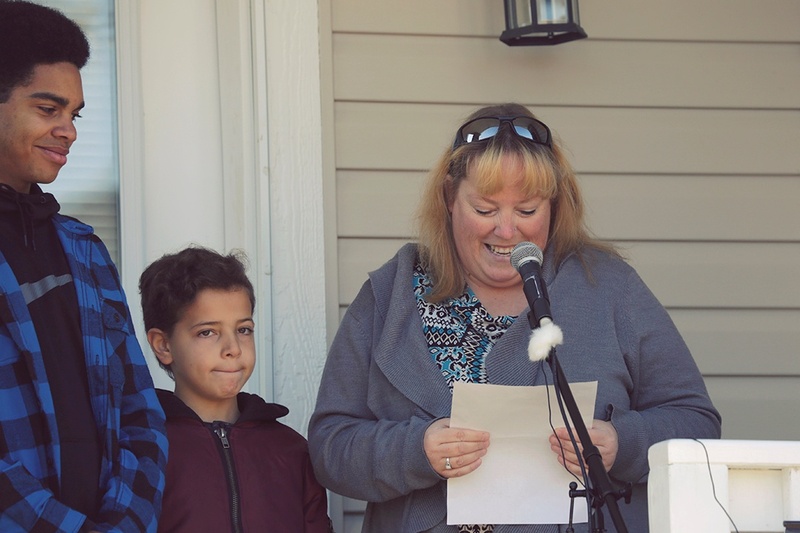 Relive some of last month's home dedication in Bowness and see why it was one our favourite moments of the year.